ACE Inhibitors are used to treat a number of medical conditions like high blood pressure and migraines. ACE is the short form for Angiotensin-converting enzyme. ACE inhibitors are medicines mainly used to control blood pressure, treat heart failure, and avert kidney damage in those people who suffer from diabetes or hypertension and to prevent strokes. These medicines are also known to improve the survival rates of people who experience a heart attack. Basically, people who have experienced heart attacks before or hypertension, who are then treated with such medicines live longer than those who do not take the medication. This actually makes ACE inhibitors very important drugs. Angiotensin II is a strong chemical which causes muscles around the blood vessels to contract. This results in the narrowing of the blood vessels. When the vessels are narrowed, the pressure in the blood vessels increases causing hypertension or high blood pressure. The role of ACE inhibitors is to inhibit or slow down the impact of the ACE enzyme; this reduces the production of Angiotensin II. The end result is that your blood vessels enlarge, minimising blood pressure. Some of the common ACE inhibitors include Benazepril, Enalapril, Lisinopril and Captopril. How do I take ACE Inhibitors? ACE inhibitors are oral medicines. It is important to follow the doctor’s instructions when taking this medication. They should be taken roughly at the same time every day and you must not stop taking them without consulting with your doctor first. It is important to go for follow-up checks with your doctor after you start taking the medication. The dosage might be changed from time to time. ACE inhibitors must not be taken by pregnant or breastfeeding women. Some patients also experience very serious side effects like allergic reactions, kidney failure, decreased white blood cells as well as swelling of tissues. However, such serious symptoms are very rare. 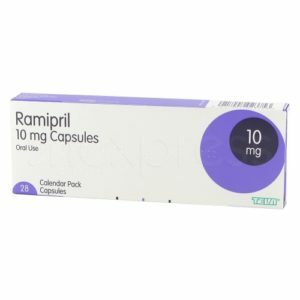 In the event that you start coughing after taking this medication, it can take up to 4 weeks for that cough to subside. Also, if you react to one form of ACE inhibitors by coughing, then chances are that other forms will cause the coughing too. 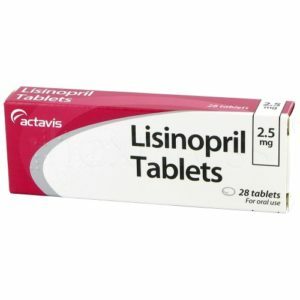 Can I buy ACE Inhibitors online? Of course, it is relatively easy to buy ACE inhibitors online. The process of purchasing ACE inhibitors online is safe and discreet. You have to complete a private consultation with a doctor online. Once they confirm that this is the best treatment for you, they will simply write a prescription. Once the pharmacy receives the prescription, they will send you the medicine the following day.